We are heading to Vegas! This year will mark our first year exhibiting at The SEMA Show in Las Vegas (Nov 1-4), and we couldn’t be more excited to show you what we’ve been up to. 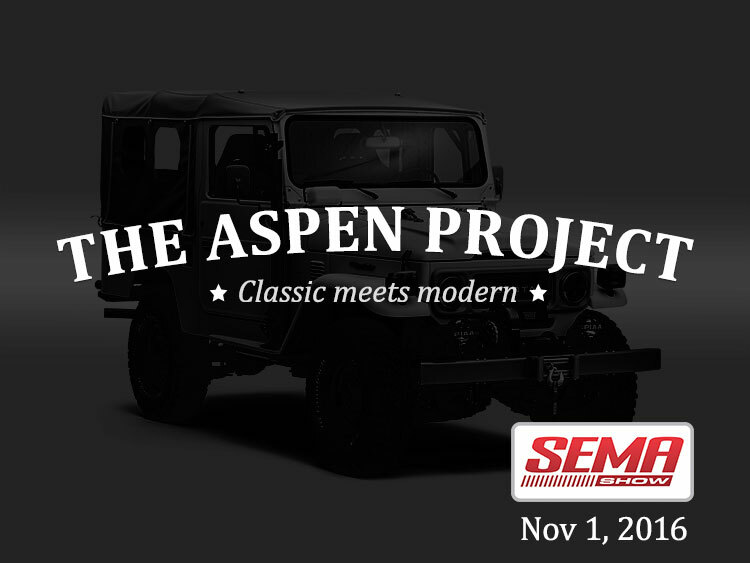 1982 FJ43 “The Aspen Project” – to be revealed Nov 1! This build has been a long time coming. Our President, Juan, wanted a purpose-built family-friendly beast, that could take on the rigors of everyday highway driving as well as the back-country near Aspen, Colorado. He also let us add some new upgrades like the monster 1FZ engine to give this baby some real power. Did we deliver? You be the judge. 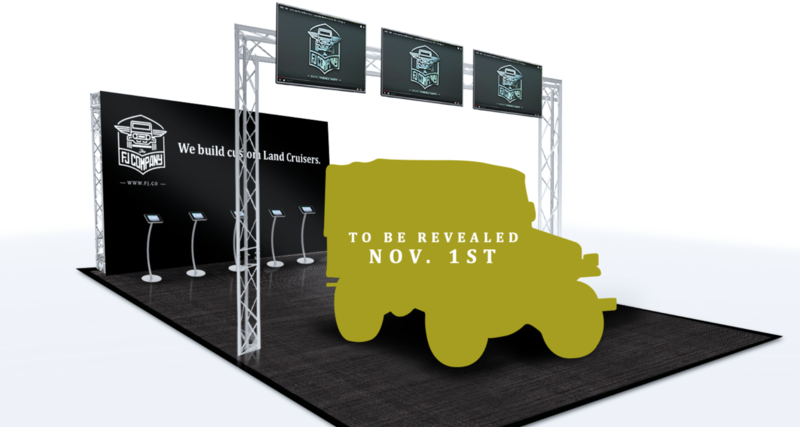 Come see this build revealed for the first time in our booth at SEMA (#51315). 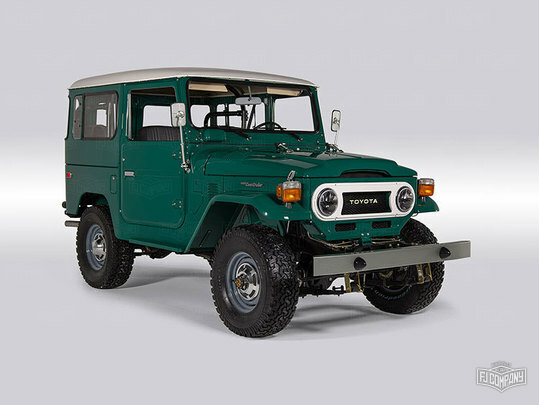 This FJ40 is representative of our “Classic” restoration – the perfect way to experience a truly authentic Land Cruiser. It was designed as the ultimate weekend driver in both winter or summer conditions. 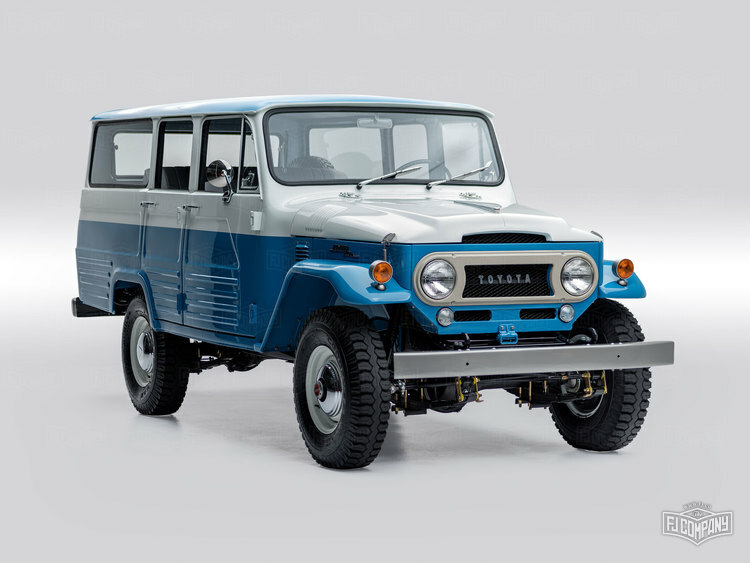 While staying true to the classic Land Cruiser, this FJ40 was custom restored with all of the prerequisite features that are now common on US highways such as power steering, 4-wheel disc brakes, air conditioning, and most importantly, a 5-speed manual transmission. It’ll be in the Featured Vehicle lot for you to take a gander at the core of our offering. This FJ45LV is a rare fine – only about a thousand of them were imported into the U.S. – and our client was lucky to get his hands on it as an unrestored vehicle, complete with a treasure trove of original parts, just begging to be brought back to it’s original state. We painstakingly restored this LV to its original state – with no nut or bolt left untouched. Winner of the Carmel-by-the-Sea Concours on the Avenue, and on display in the Featured Vehicle area, this gem is available for viewing at SEMA before it gets delivered to our client in Dubai. We’d be happy to introduce you. You will be able to find our team at Booth #51315 in the “Performance Pavilion” – it’s a bit of a walk over to the tents (SEMA makes every noob exhibitor spend a year there), but we promise it’ll be worth the trek! Can’t wait until November 1st? Follow us on Instagram next week, as we provide a sneak peak of Project Aspen! prev postShould I get a US-spec or a non-US spec Land Cruiser? next post Should I get a hardtop or soft top for my Land Cruiser?